I was not really aware of lemon grass scent until I tried Alikay Naturals Lemongrass Leave in Conditioner, Aaranyaa Lemongrass Sulphate Free Shampoo, Soap Opera Lemongrass Soap and Lakme Sun Expert Skin Lightening+De Tan After Sun Face Wash. Lemon grass scent is not only refreshing but instantly makes you feel good and relaxed. After all who doesn't love citrus scent? 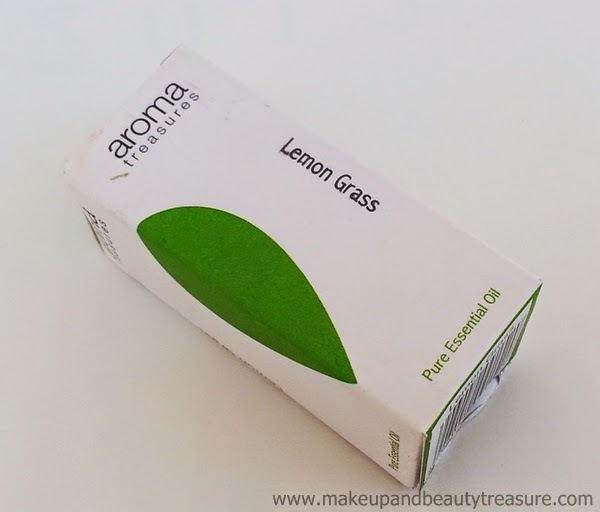 Today I am going to review Aroma Treasures Lemon Grass Pure Essential Oil. Aroma Treasures Lemon Grass Essential Oil comes in a white cardboard box packaging. The actual product comes packaged in a small, dark brown glass bottle with a white screw top lid. The lid comes sealed to ensure that the oil has not been used. Upon opening the lid, there is a plastic stopper that helps in measuring drops. The dark glass bottles preserve the aromatic and therapeutic properties of essential oil from sunlight. The essential oil must be stored in a dark place away from sunlight. The packaging is very light and the bottle can be easily carried around without any fear of leakage or spillage. Lemon grass essential oil is made by steam distillation of fresh or partly dried lemon grass leaves. The fragrance of lemon grass essential oil is a bit strong but is calming at the same time when used in moderate quantity. Lemon grass has fresh and citrus aroma with earthy undertones. I particularly use it in my bath or foot soak. I simply pour 1-2 drops of lemon grass essential oil in my bucket full of water. It helps you to relax and soothe the aching muscles. It helps to combat nervous exhaustion and stress related condition. It feels great when I really feel lazy to take a bath. Lemon grass essential oil also makes a good room freshener. The brand has recommended pouring 6-8 drops of oil in vaporizer but I put only 1-2 drops as I am not fond of strong fragrances. It keeps my room fresh for a long time. The essential oil can also be used to give a good massage by blending it in any carrier oil. 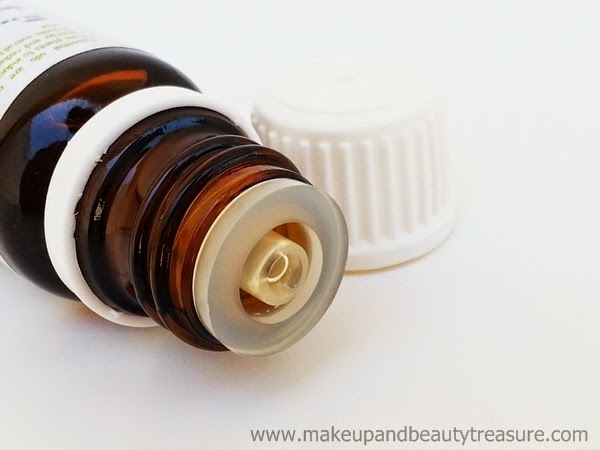 After doing research I found that this essential oil can also be used to cure acne by mixing it with any cream or oil but I am actually skeptical in doing it as it is quite strong and I have sensitive that might cause it to burn. There are many more uses of lemon grass essential oil but I mainly use it in my bathing and foot soaks. I love the fragrance of it and it instantly lifts up my mood. 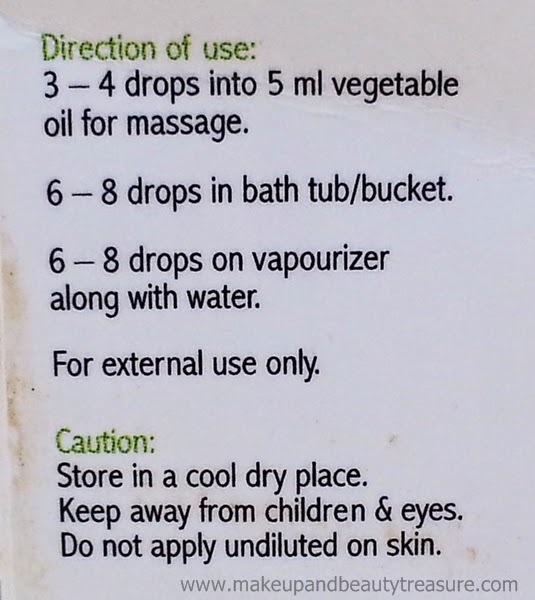 Essential oils should not be used by pregnant or lactating mothers. • Gives fresh and soothing effect when used in bath. • Can be used as room freshener. • Can be used in foot soaks. • As with every essential oil, the scent feels overpowering when used in large amounts. Overall I am really happy with Aroma Treasures Lemon Grass Pure Essential Oil as it makes my bathing experience fresh and relaxing. It has a lovely citrus fragrance that instantly lifts up your mood. It acts as a good room fresher. If you are fond of citrus fragrances then I would definitely recommend it to you! Great for the price too! 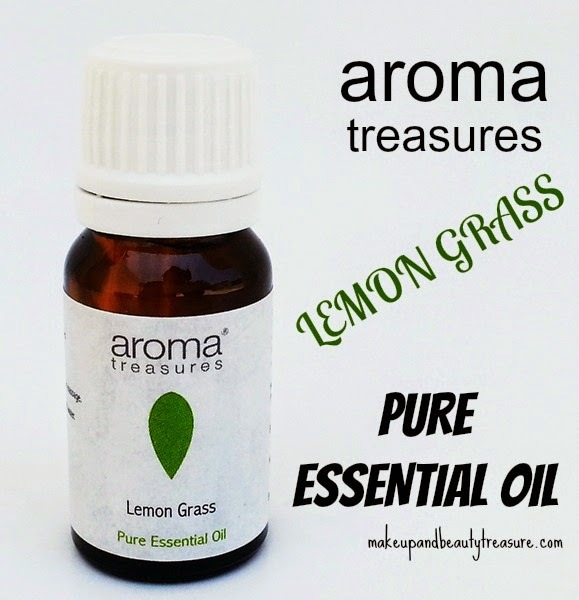 Have you tried Aroma Treasures Lemon Grass Pure Essential Oil? How was your experience? How do you use it? Share in the comments section below! This is a nice sharing. Essential oil is very good for health. If you use it regularly you can get a good result from it. Thank you for your good sharing.